This seminar-training organized by i.PEICC was the fourth and the last seminar of the OpportuNEETies project. It took place in Montpellier from the 5th to the 10th of March. Twelve foreign participants from Spain, Italy, and Germany took part in this activity. – How to encourage and to promote the active involvement of NEETs? – How to encourage local partners to involve themselves in mobility projects? – How to include youngsters with disabilities in our projects? The training allowed 16 youth workers to meet, to discuss the topic and to exchange best practices. The first day started with a presentation of each organization through the creation of collages. Each participant had time to introduce himself/herself. Through a photo-language activity, the participants shared their representation of the world “involvement”. After a presentation of the timetable of the seminar-training, the participants shared their expectations, fears, and contributions for the week. In the afternoon, Evelyne Menou, the director of i.PEICC, made a general presentation of the organization and introduced its methodologies. She also explained the meaning of “involvement” for the organization: the involvement of NEETs – but also the involvement of youth workers. 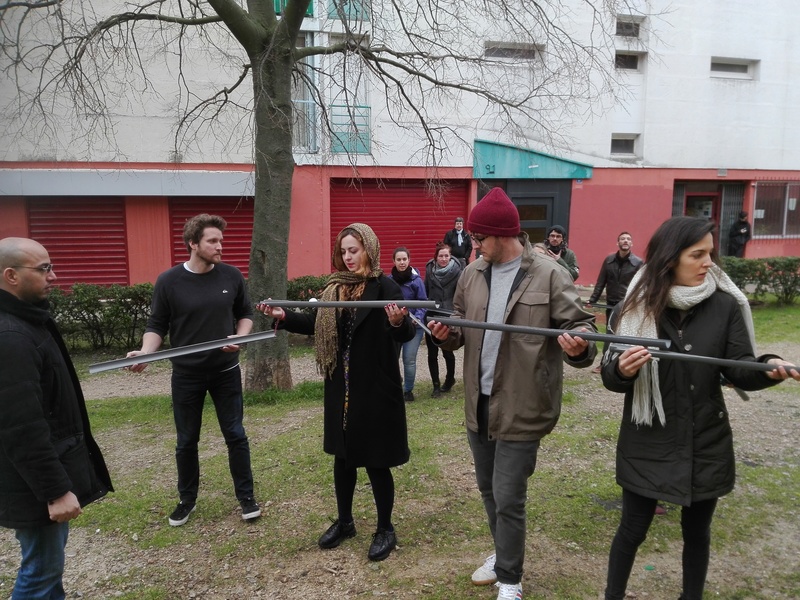 Then, Tatiana Formet, a youth worker in i.PEICC, who is specialized in artistic and cultural activities, introduced her work to the participants and discussed her methodologies with them. On Wednesday and Thursday, the group went to the region of Le Gard. There, a meeting with the main institutions and different field visits were organized. 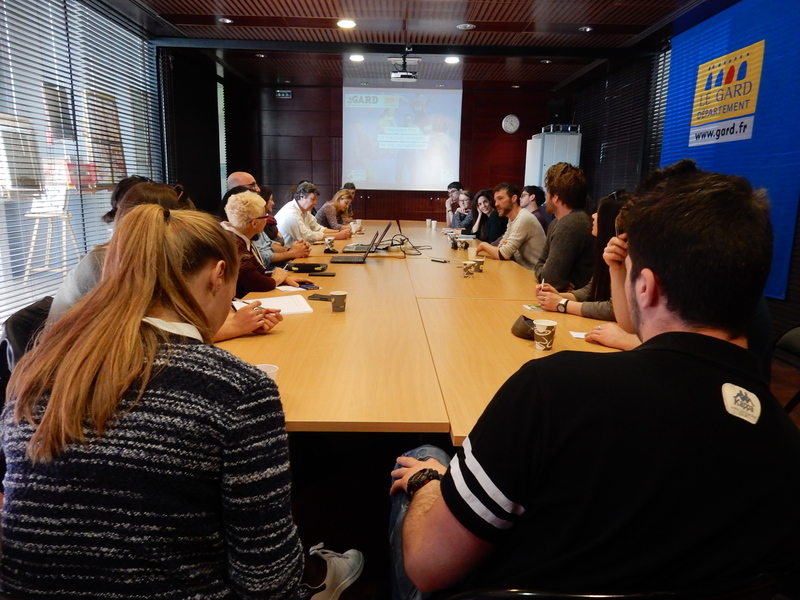 Philippe Marchal, responsible for the Youth Department of Le Gard, welcomed the participants in Nîmes and explained to them how the involvement of youngsters is encouraged at departmental level. He especially described the structure of “Service Civique”, which is developed in France for many years now and which allows NEETs to take part in a volunteering activity while receiving an allowance from the State. Some civil servants shared their experiences with the participants of the seminar-training. 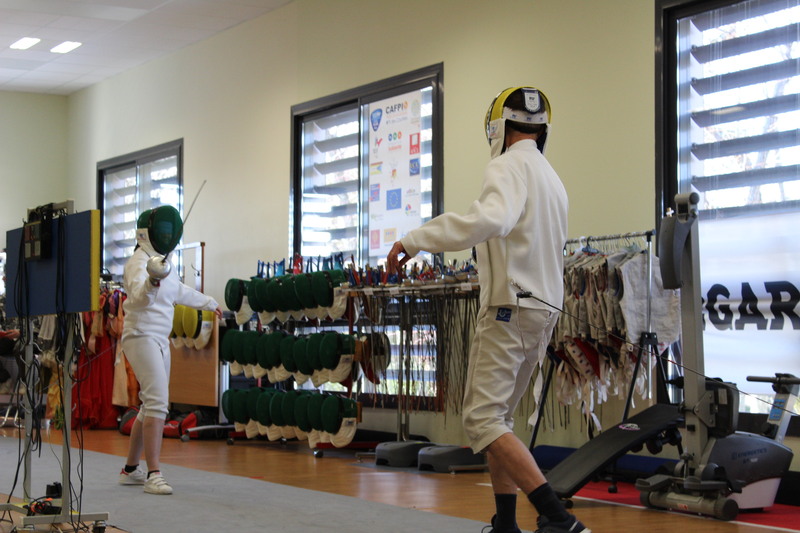 – L’association sportive Bouillargues Escrime: this organization is involved in Erasmus+ sport projects aiming to give access to fencing to blind and partially-sighted people. Participants of the training met the president of the organization and discussed the topic with the coach. – Le handi club Nîmois: this club gives the opportunity to people with motor disabilities, using wheelchairs, to play football with adapted material and rules. 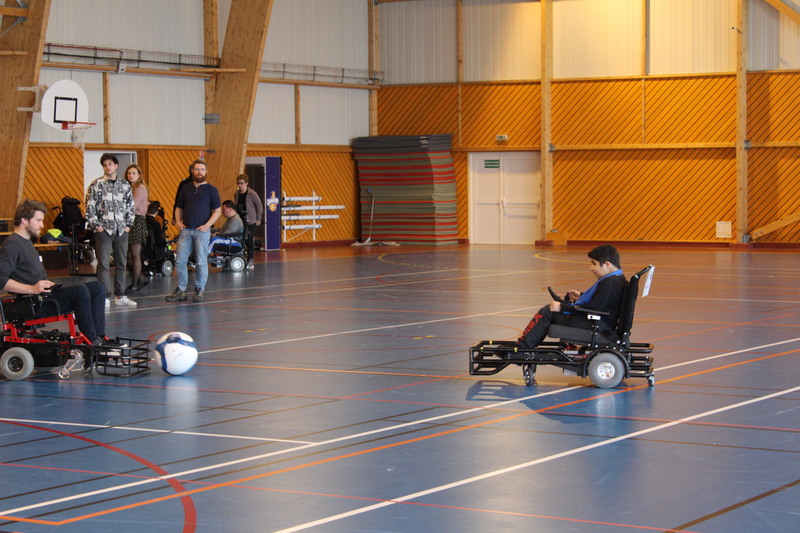 Participants of the seminar had the chance to talk with the members of the club and to try to play football with the adapted wheelchairs. – L’association Da Storm: this organization is specialized in Hip-hop culture (rap, deejaying, graffiti, dance, beatbox). Its members organize events all year long, as well as workshops for children and youngsters, especially youngsters with fewer opportunities and people with disabilities. 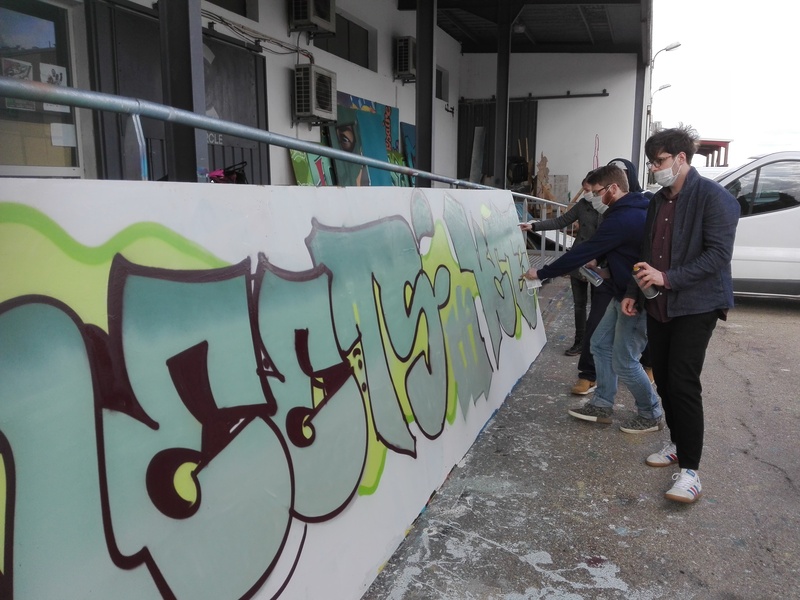 After explaining us their work and methodologies, the members of Da Storm invited the participants of the seminar-training to do a graffiti workshop in order to directly experiment their ways of working with youngsters. On Friday, the participants of the ST met Idris Ben Aziz, a youth worker in i.PEICC. Idris works mainly with youngsters with fewer opportunities in a suburban area of Montpellier called La Paillade. He introduced to the participants different tools he is using in his daily work such as board games and cooperative games and took time to discuss his practices with the participants. Friday afternoon was dedicated to the Erasmus+ program. Gaëlle, who is in charge of European projects of mobility in i.PEICC gave to the participants an overview of the program and especially of the projects in which NEETs can be involved. She gave participants the basic tools to start to write their own mobility projects for youth. On Wednesday evening and Saturday morning, participants were divided into three groups with the aim of developing an idea of a mobility project including NEETs. Two groups worked on ideas for Youth Exchange project, one group worked on ideas for Training Course project. Saturday afternoon was dedicated to the evaluation of the week and to a short visit to Montpellier.